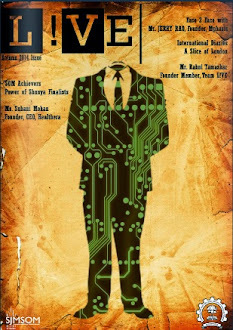 Life @ SoM: A LI’L ABOUT RETROSPECT & A LOT ABOUT MBA !! A LI’L ABOUT RETROSPECT & A LOT ABOUT MBA !! Whooa...so here we are...it’s been almost a fortnight since the feline obsession has reached its climax (or should I say anti-climax for the unfortunate?). But, hold on. “Picture aabhi baaki hai mere dost”. Quite so. The hide-n-seek between cat and mouse having been over, the time is ripe for the war of the words. So what about the war-lords? Well, the feelings amongst them are varied but not unfamiliar. Some are overjoyed with their percentiles, some are wary of the processes ahead, some are worrying and speculating about the calls they are going to get in the coming days given the messed up and vastly disparate criteria set by different B-Schools across the palette. Whatever be the case, no doubt the season for fact-crunching and mastering the art of delivering mind-numbing fattes is on. After all, it is going to be a career deciding couple of months in the life of the “not-knowing-what-to-do-with-their-engineering-career” junta (I guess “MBA aspirants” would have been a much shorter and better approximation of the above term). At least that was the case with me and a bunch of my MBA-aspiring friends, and till date wherever I interacted with people I have found out “Why MBA” is the most dreaded two words in the larger MBA-aspiring/ pursuing fraternity when it comes to be interviewed. So, the reader might well excuse me for being myopic or judgmental. Now, what makes me write this piece of blog (boring monologue) is a little bit of retrospect driven by a hell lot of nostalgia of having been there just on year back and may be the underlying message (though I’m not sure if there are any) thus conveyed may prove to be highly useful to make the confused junta even more confused with their decisions (evil laughter). The sadistic pleasure of giving the share of similar plight which I am still going through sounds enticing. Yeah, you heard it right-those two words still scare the hell out of me. But if it is not an interview, I would like to talk a li’l bit about that question. So, to conclude, I wish all the aspirants to give their best in the coming days so that they get to learn a lot of mumbo-jumbos in the near future with which they will be able to fool their bosses for the rest of their lives. That is why some people (read IT engineers like myself) really see MBA as a means to achieve the true freedom for good!! Well, guys, fight hard. Hoping to see some of you people in the coming days (and if those of you are just as we are, well, we will be plain unlucky..lol)!!! With this way, students can learn different activities factors via syllabus. Candidates who want to earn MBA in marketing must have deep marketing knowledge. and also could additionally transcodes these videos tubidy download allow's maintain checking out to find ways to download and install free 3gp video clips. Now and after that we tend to ignore some insightful by memory things in direction. Besides, its reason is our low memory. Therefore we tend to http://www.statementofpurposemba.net/best-statement-of-purpose-for-internship-services/ site for the limit of data of your sythesis. Time is passing and the need of the new learning is on the rise but that is not enough as the students have to click here to learn themselves that how to organize their tie to get most of out of the existing. you say there has little but I get that there has a lot for me about my mba course and those informations are so effective for me. click here for the students that is very helpful for the writing services. you some information about transition life in island . it will help many students who want to go there as well who try to found medical residency in uk. keep writing like this http://www.sopwriters.com/our-sop-writing-service/writing-sop-for-nursing/ will give helpful tips and you can ask any question related to the writing service. 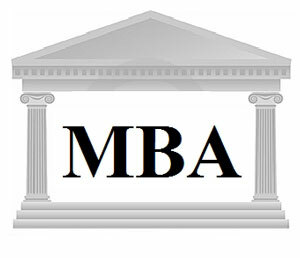 MBA is becoming a best proposal for the students. Everybody is interesting to get this degree as it has ot of job opportunities for people. You can also learn to write personal statement http://www.fellowshippersonalstatements.com/pulmonary-critical-care-fellowship-personal-statement/ from it. Yes, these tips are very important if you want your exams amazing. Now a days we have competition everywhere so study for exams should never compromise. So go to website and we will give you new opportunities too. There has so many way you can edit your image but using this script could have been so effective and so easy way to end. http://www.residencypersonalstatement.biz/our-professional-residency-personal-statement-service/physical-therapy-personal-statement-writing-service/ will give helpful tips and you can ask any question related to the writing service. If you need help about any thing then you should visit here. Many best ideas here. This is why this site is so popular. I like this so much. Because of their content. Good work this is. If you would like guide in relation to almost any matter then you definitely really should go here. Quite a few very best thoughts in this article. Because of this , this page is favorite. I'm keen on that a whole lot. For their information. Beneficial do the job it is. You may check it at http://www.mydentalpersonalstatement.com/about-us/. It words is certainly first rate best of all notably instructional. Will likely referenced look here vital tips carried out usually. I would prefer to help you bye about this instructional go through. Wondered fully understand demonstrating to this excellent astonishing. Amazing title. This topic is attracting students to read this article just for the sake of MBA. We all know that MBA is something that need your attention and lot of research. So http://www.personalstatementwriter.org/personal-statement-writing-and-editing/teaching-personal-statement/ is best for you in writing such kid of statements.